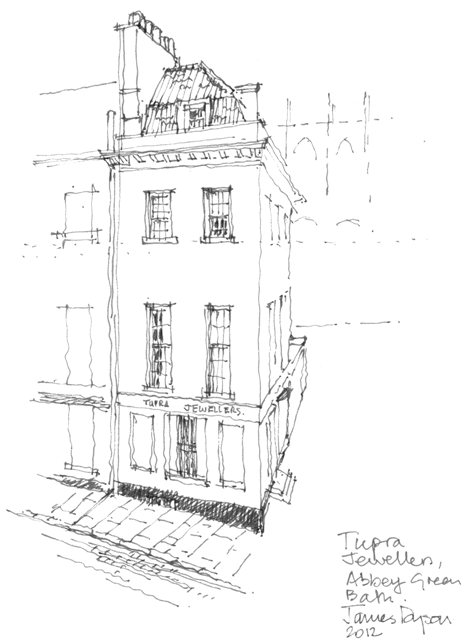 Sketch of Tupra Jewellers, for display at Three Abbey Green, Bath. "A perfect way to illustrate the delights of Georgian design." 2012.